This is a title in the colour 'Horrible Geography Handbooks' series. A spotters' guide to volcanoes. 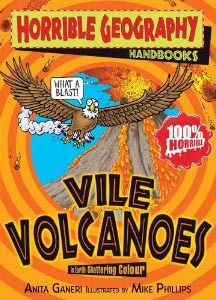 It discusses how they form, what happens when they erupt, and how best to survive if you're caught in an eruption! This is the ultimate in volcano info!